A well-trained dog is indeed a delightful companion. Forget about puppy eyes and thick fur if your dog won’t listen to you. Your dog should know how to follow even basic commands, to make both of your life easier and happier. Hence, you should consider investing in a dog training system. A dog training system will help you to teach proper manners to your beloved companion. With the help of this system and advanced technology, training your dog has never been easier. However, due to the overwhelming options that you will find online, we’ve created a list of the top 13 best dog training systems review that you might want to check out. The following systems are by far the most durable, practical, and efficient when it comes to training your canine. This Wireless Pet Containment will give you the peace of mind when you have no choice but to leave your dog alone at the house. 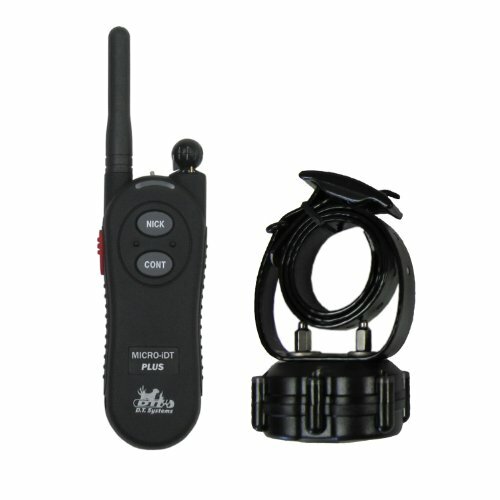 You can operate the system using its wireless remote control, and its waterproof receiver collar ensures you that it can respond to the assigned program. The system can cover up to half an acre. Compared to other pet containment systems, you don’t need to be an expert when setting up the system as it will only take one to two hours of your time. The package includes 50 training flags to introduce the boundaries to your dog better. 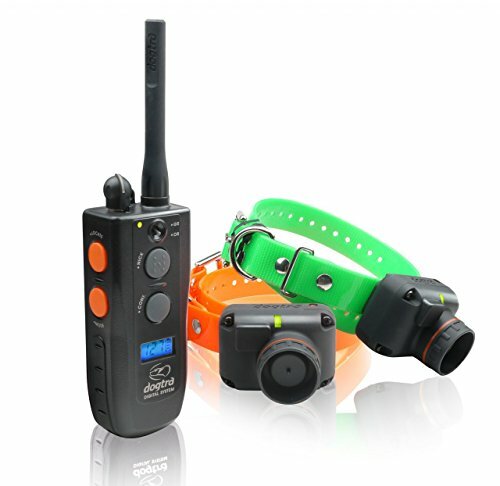 This system is powered by the PetSafe RFA-67 battery (included in the box) and the waterproof collar that features five levels of static-type stimulation correction. It also has a tone-only function that can help in speeding up your dog training. For your dog’s safety, it as an automatic safety shut-off feature that will stop the correction after 30 seconds. But if you have multiple pets, rest assured that you can still use this system as it can accommodate additional collars (not included in the package) and can handle any canine breeds. Allow us to introduce the Dogtra 2500/2502 T&B Compact Training System. It includes beed collars that featured an integrated beeper horn into the receiver. It also has 127 level of nick and constant stimulation, making it easier to train your dogs. 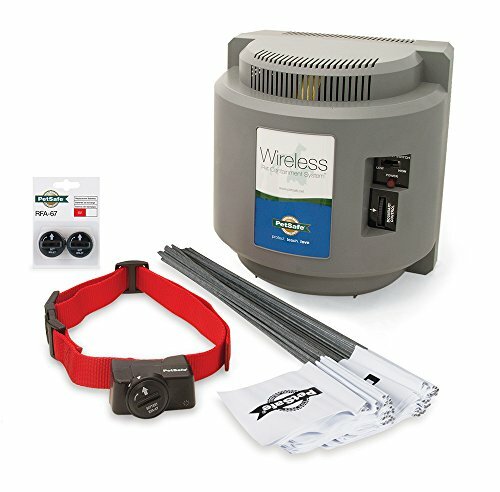 The system’s range can reach up to one mile, and its 400-yard beeper activation makes this system ideal for pet owners who are planning to install the system on their spacious backyards. This is made of top-grade waterproof materials that can withstand even the harshest environment. It also has an LCD window on the transmitter and MC stimulation type. NiMH battery powers both the transmitter and collar. Training your dogs is fun and easy with this pet containment system. Best of all, you can buy this at an affordable price! Do you have a spacious yard and is looking for a wide-range dog training system? You might want to check out the PetSafe 900-Yard Remote Dog Training System. This easy-to-use system is ideal for pet owners who have multiple dogs and is planning to install the system in a large yard. Its rechargeable system can offer 15 levels of static stimulation with tone and vibration options that can help in training your dog. Its backlit LED display makes the program settings easy to read. The digital remote has two-button and professional design with dedicated buttons for stimulation and tone. This system is engineered to suit any of your dog’s needs. 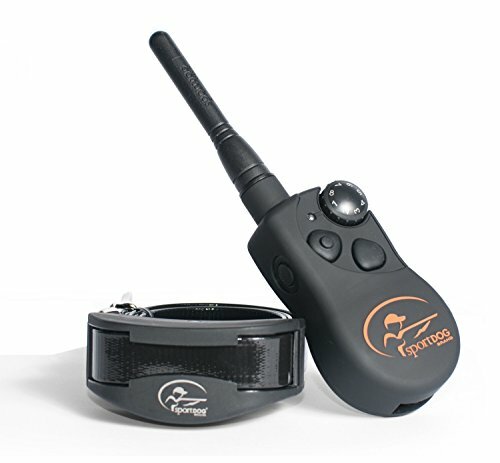 You can expand the network for up to two dogs at a time (additional collar is not included in the package) for up to 900 yards. The collar is made of waterproof and coated nylon that can fit up to 28 inches of your dog’s necks. You can recharge both the system and the remote control using its USB charging wall adaptor (included in the package). If you are on a tight budget, you should check out the DT Systems Micro-iDT Electronic Dog Training Collar. It can reach up to 900-yard range at an affordable price! This waterproof collar offers 16 levels of remote-controlled continuous and momentary stimulation that includes GTS and vibration for a maximized versatility of the product. On the other hand, its Maxx-Range internal antenna is designed for a 360-degree reception. The transmitter is resistant to water and even harsh environmental conditions. For pet owners who have multiple dogs, you can add some collars (sold separately) to accommodate all of your canines. The package includes rechargeable NiMH batteries in a collar, 120V charger, and 9V battery for the transmitter. SportDog’s line is known for manufacturing durable and quality electronic training products. For pet owners who are serious about training their dogs, this system is for you. It offers a broader range, more features, and a longer lifespan. 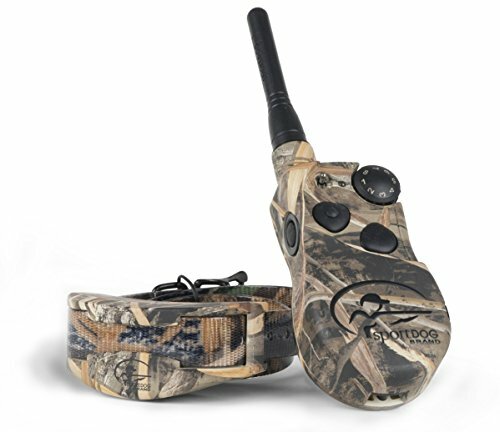 The SportDog Brand WetlandHunter SD-1825CAMO allows you to train your dog to its extent. It provides 16 stimulation levels for a continuous or a temporary correction for every unwanted behavior. You can also opt for vibration and tone options if you want to customize your dog training. 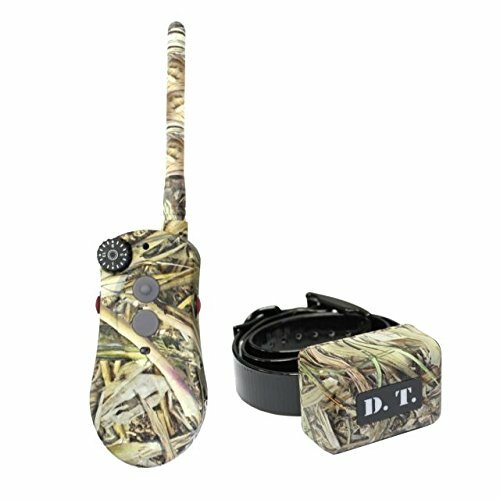 The SD-1825CAMo is engineered for waterfowl training and utilizes waterproof design technology, ergonomic, and non-slip dog collar. There are 13 modes of operation and a convenient docking station that will charge the system for just two hours. 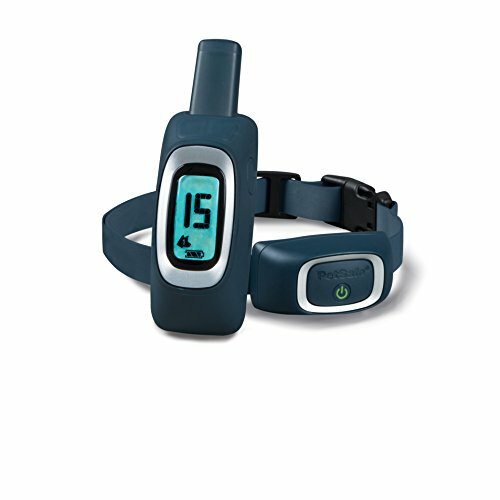 Featuring one of the best-selling dog training systems, we have the Garmin Sports PRO Dog Training system. Now you can train up to three dogs at a time with its ten stimulation levels and the integrated BarkLimiter technology. You can control the transmitter with its four buttons and a quick turn dial. This system is ideal for pet owners who will be using an electronic dog training method for the first time. You don’t need to tolerate the unwanted behavior of your dogs with the help of this system. You can choose whether you want to have a temporary or continuous momentary stimulation, offering tone and vibration options as well. The unit is made of top-grade materials that are bound to last for a long time. It has interchangeable contact points to give you peace of mind when it comes to leaving your pets alone at home. Both the unit and the collar is resistant to water and harsh environmental conditions. 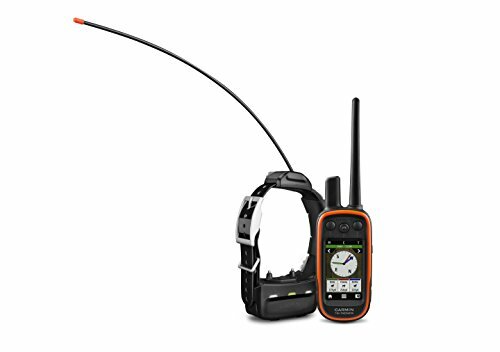 If you are willing to spend some extra money, you should consider the Garmin GPS dog tracking technology and Tri-Tonics electronic dog training. This system can provide optimal performance when it comes to training your canine. The high-performance system also allows you to monitor and track the locations of up to 20 dogs at a time. Now you will know the distance that your dog had traveled within nine miles. Its training buttons make it easier to communicate and track your dog for more effective training. The collar unit, on the other hand, can offer 18 levels of traditional and 18 degrees of continuous stimulation or tone command. You can increase the stimulation levels or adjust for a customized dog training. The 1-inch collar can accommodate any breeds of canine. With its BaseCamp software (included in the package), you can monitor your canine anytime and anywhere. Buyers can enjoy a year free of subscription to BirdsEye Satellite Imagery upon purchasing the product. For dog-loving hunters out there, allow us to introduce the SportDog Brand System that makes training a lot easier. This system is built to be used in actual fields. Each of the systems can accommodate up to three dogs using its Add-A-Dog collar (not included in the package). For those who are looking for dog training system for upland and multi-dog situations, you have found what you are looking for. This dog training system also features tone and vibration options to correct your canine’s unwanted behavior. You can fully recharge the system in just two hours. For first-time users, this dog training system comes with a training DVD and a manual. It also offers 16 intensity levels that can reach up to 1200 yards. Check out the SportDog Brand In-Ground Fence System; this is also one of the best-selling dog training systems in the market for its affordability and functionality. Now you can keep your four-legged friend safe and sound at all times. The transmitter can reach up to 100 acres of land. Installation is a breeze. 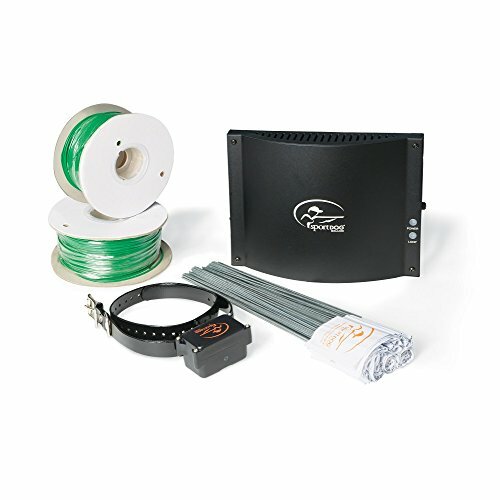 All you need to do is bury the wire around the parameters of your property and install the transmitter. The collar is made of waterproof materials that offer four different levels of stimulation. The built-in lightning protection is designed for the safety of your dog. This kit also includes 1,000 feet of wire, 100 flags, and a charging adapter. The battery can last for up to 6-12 hours, and this system is designed for dogs weighing up to ten pounds. 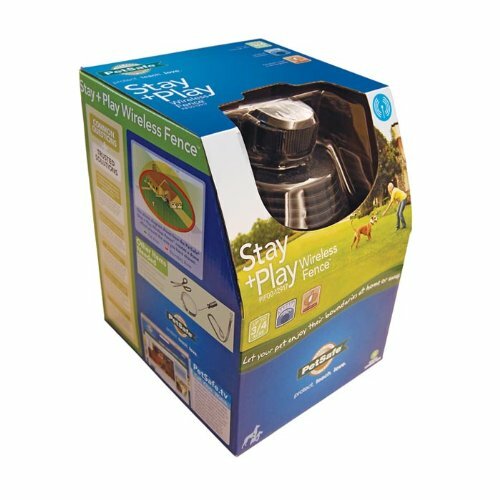 Another product from PetSafe, we have the Stay & Play Wireless Fence System for Dogs. The wireless pet containment system can be recharged in just a short time. 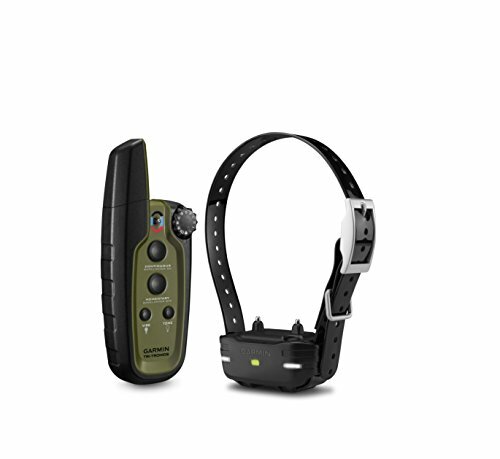 It works together with the waterproof receiver collar that features five levels of static-type stimulation correction. For a customized dog training, it also has a tone-only function that can serve as your transition tool. You can adjust its circular boundary up to ¾ of an acre. 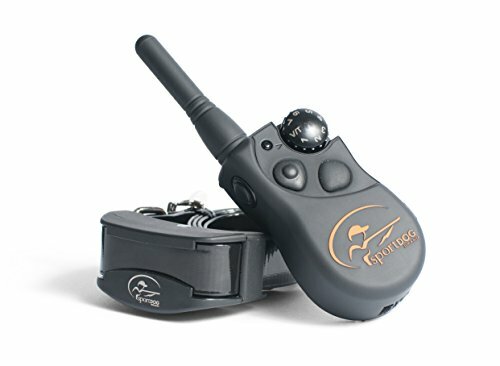 If you have existing pet fence transmitter, you can combine this dog training system with them and create a vast play area for your buddies. The package includes the rechargeable battery of the system. The system is designed for dogs weighing up to five pounds and up. The receiver collar measures 6-23 inches. You might want to take a look at the SportDog Brand FieldTrainer Stubborn A-Series System. This dog training system is designed to train even the stubbornest dogs. Thanks to its advanced technology, you can choose from a higher range of stimulation. It is no longer a surprise that some dogs do not respond to low range systems and this is the solution to your problem. You can switch between seven selectable stimulation levels with low/medium ranges. If you want to customize your dog training, you can use its tone and vibration options instead. The system can accommodate up to three dogs at a time with additional collars. Whether you’re training your dogs for hunting, in your backyard, or in the field, this is the perfect dog training system for you. For our last product, we have the DT Systems H20 18000-Plus Series collars. This dog training system is engineered to handle any dog training—be it field, yard, or hunting. You can recharge the system in just a short time, and its soft-grip transmitters have integrated safety shut-offs but will float if you accidentally dropped it into the water. The dual-vibrations settings or multifunctional beeper makes your training more effective. Boosting the level of stimulation had never been easier with this system. This pet containment system can accommodate up to three dogs at a time. NiMH batteries power the system for both the transmitter and the collar.